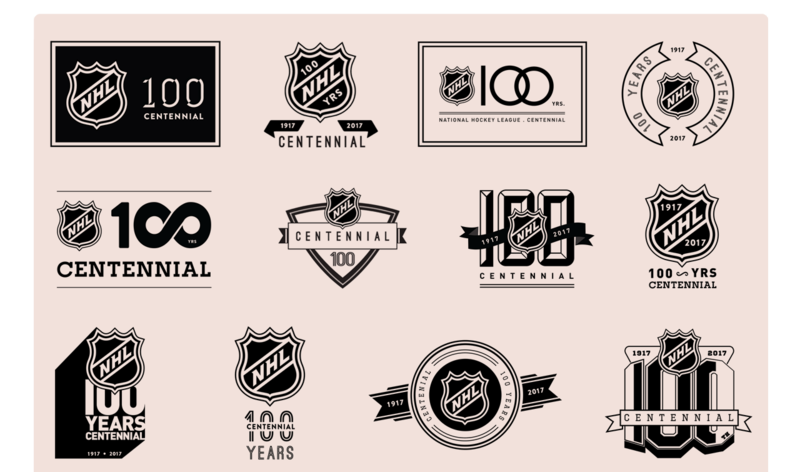 Since we are big hockey fans, we were very pleased to be asked to design several logo concepts for the upcombing new NHL 100 Centennial branding. Although our concepts were not used in the end, we think some of our variations inspired the final result. The NHL Centennial is a celebration of the league’s rich history. It’s a time to pay homage to the game’s greatest players and most spectacular moments. But it is also an opportunity to flex the league’s merits and show how we are stronger and forever moving forward. After 100 years of grit and glory, the nhl is century strong.